Pet insurance is something I have contemplated through out the years. I have had my amazing 13-year-old pit bull since he was 8 weeks old and never got him on a pet insurance plan. I’ve since lost track on how much I have spent on vet bills (for him and my other pets who came along after him but have now passed). I recently adopted a new dog and still have opted out on getting pet health insurance. I am neither rich nor poor, so yes it can get expensive – but I knew that when I decided to take responsibility of another living being’s life. 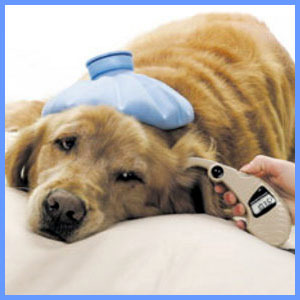 The best benefit to pet health insurance is if your pet is hit with a large, expensive health problem. All it takes is one emergency, such a being accidentally poisoned or a caner diagnosis, to rack up thousands of dollars in vet bills. Trust me, I’ve been through it all – with out pet insurance! Plans that cover routine care, such as yearly shots and physicals, and medications are sometimes a better deal. The younger your pet, the cheaper the insurance will be. However, it’s when our beloved pets grow old is most likely when they will need coverage most. Pet health insurance is a business. It assumes that more money will be paid in insurance premiums than will be paid out for benefits. This means that most likely you’ll pay more in the long run, especially if your pet lives a long and healthy life with few to no problems. It is up to you whether you take that risk or not. Just like human health insurance, pet insurance plans have limitations. Some of them are – not covering pre-existing conditions, hereditary defects, or older animals. Most pet insurance plans requires have you pay costs upfront and then file a claim to get reimbursed. Pet insurance may sound good when your pet is young, but some companies have reduced coverage or won’t even cover your pet as they become a senior. Alternative therapies (chiropractic, acupuncture, hydrotherapy, etc.)? This entry was posted in Pet Tips, Photos and tagged Cat, Dog, pet emergency, Pet expenses, Pet Health Insurance, Pros & Cons, Vet fees, Vet visits on August 15, 2012 by Patricia Dean.